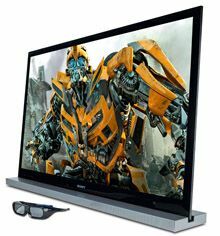 Flatscreen TVs dramatically improve energy efficiency, report finds | What Hi-Fi? Flatscreen TVs are now 60% more energy efficient than they were five years ago, acccording to the latest research from Sust-It, the energy efficiency website for electrical goods. Early plasma and LCD screens weren't exactly cheap to run. Sust-It reckons a 42in plasma would have cost nearly £80 a year to run (at today's prices) in 2006, whereas a 2011 equivalent uses nearly six times less energy, produces 265Kg less carbon and costs only £13.76 a year to run. Sust-it used its extensive energy usage data to compare the running costs of 1,800 televisions and found that between October 2006 and July 2011, there has been a substantial decrease in the average amount of energy flatscreen TV’s are using.